Seeing the world a bit differently. 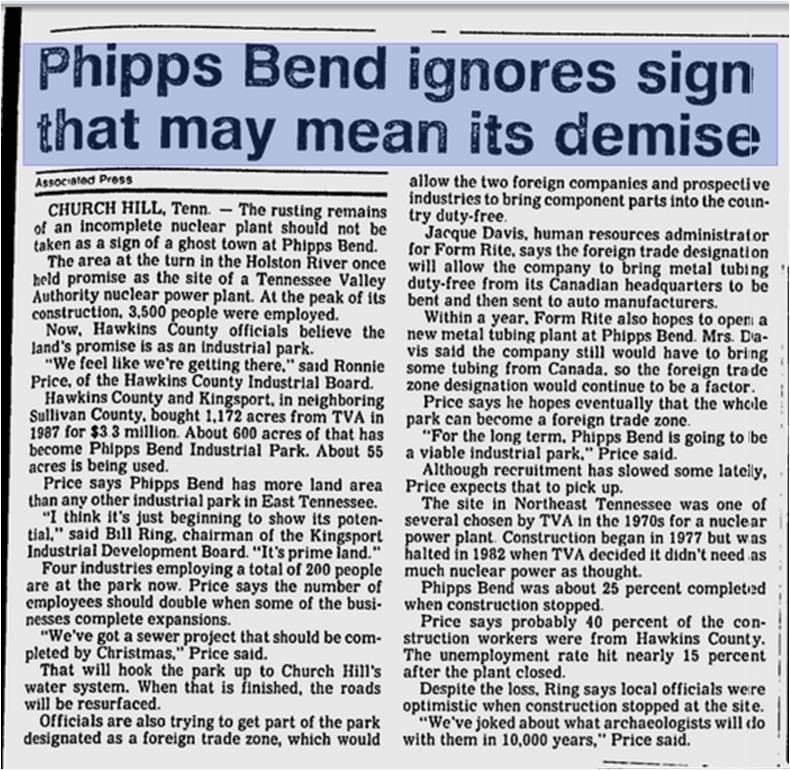 From the beginning of the project, there were mixed reviews on how successful a nuclear power plant would be in this ultra-rural area of Tennessee. 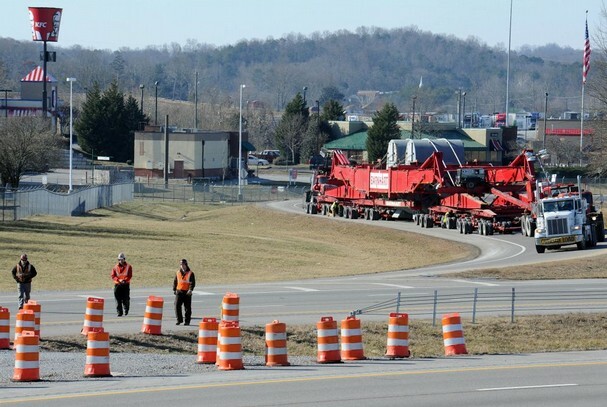 The Tn Valley Authority was overly excited to add more and more nuclear power plants to their statewide resume without considering the overall energy demands. After several years of new building and modifications to the nuclear industry within their states, they were becoming aware of a problem… The high cost of building nuclear power infrastructure was overwhelming the relatively low overall energy demands; there was just too large of difference between money out and energy profits coming in. This led the state to make difficult decisions to cut contracts with already in-development builds and take the loss. The 1970s and ’80s almost feel like another world of scientific discovery in the nuclear era. The often overlooked fact; every new and under-construction nuclear plant was often registering cost overruns and delays due to the excited nature of the land developers and state experts. TVA began building nuclear plants in 1960. 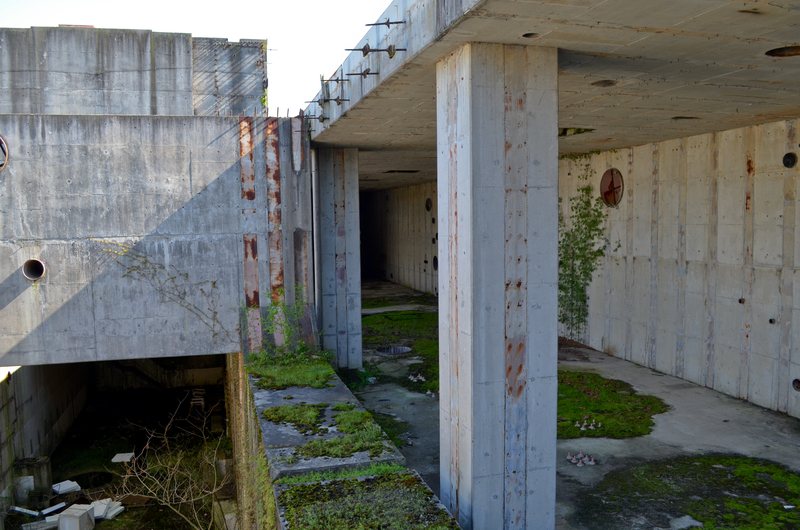 It planned to build 17, but abandoned the whole program in 1979 with just one operating reactor. So, where are we today in our quest for nuclear power today? In the US, there are 104 operating nuclear reactors at 64 plants across the country; with half more than 30 years old. The Nuclear Energy Institute says they in the beginning stages of building more than 30 new reactors. 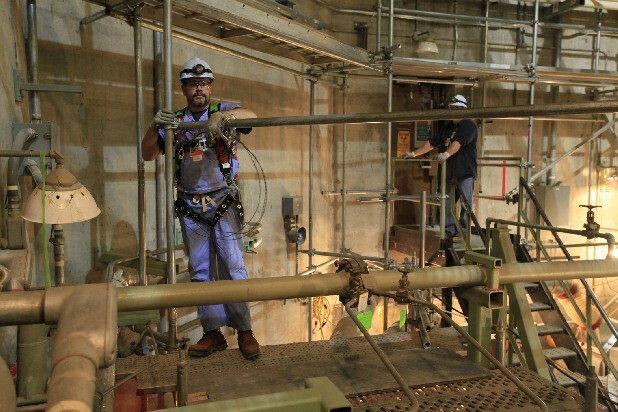 The U.S. Nuclear Regulatory Commission is reviewing 10 combined license applications from nine companies and consortia for 16 nuclear power plants. As concerns grow about atmospheric carbon pushing climate change, nuclear proponents say carbon-free nuclear is clean energy. In what was called an “overly ambitious” project, TVA planned to construct what would have been the world’s largest nuclear power plant system. There were 17 reactors planned to be built across the southeast. TVA borrowed extensively to build the reactors to accommodate expected surges in power needs. However, the high costs of borrowing money to build the plants throughout TVA’s region sent debts soaring into billions of dollars. Expensive safety regulations pushed debts even deeper. 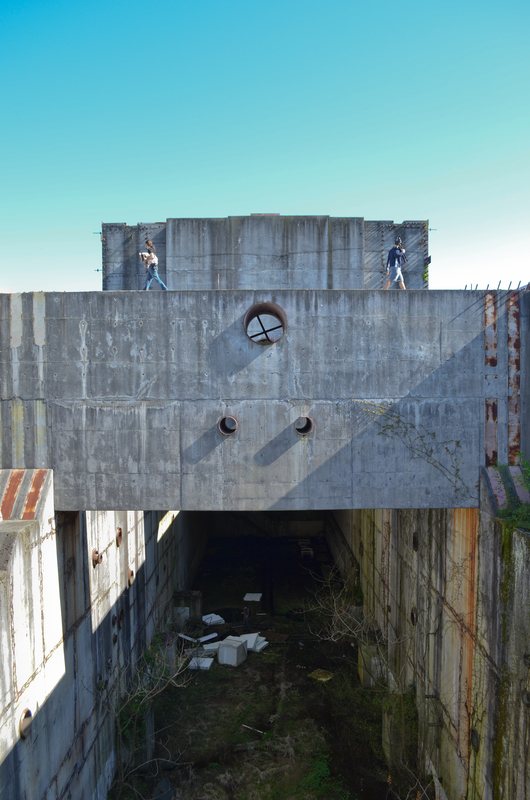 But what remains of these ambitious structures? The answer… Ruble. 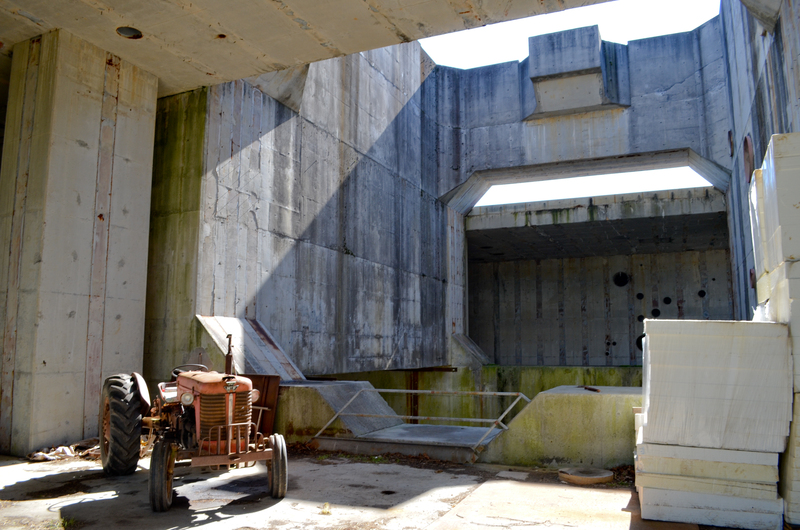 The abandoned nuclear reactor site at the PB Industrial Park began its life in the 1970s. 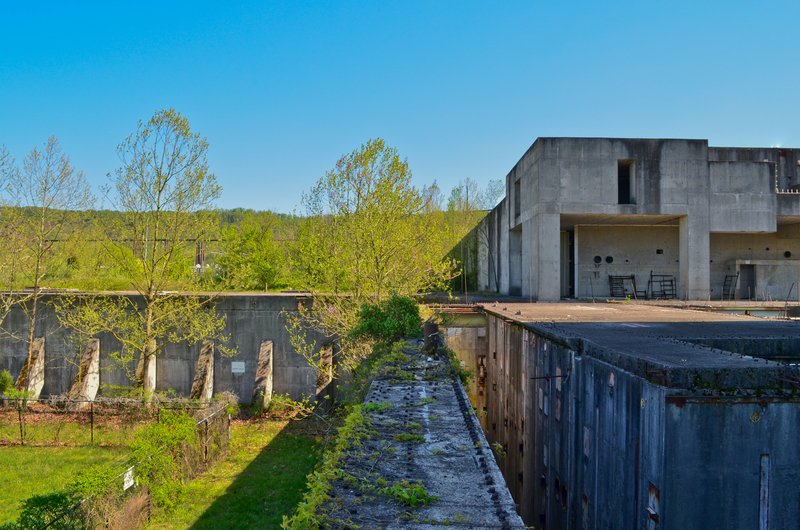 The Tennessee Valley Authority began construction of a nuclear power plant in Hawkins County, but was abandoned in the early 1980s. 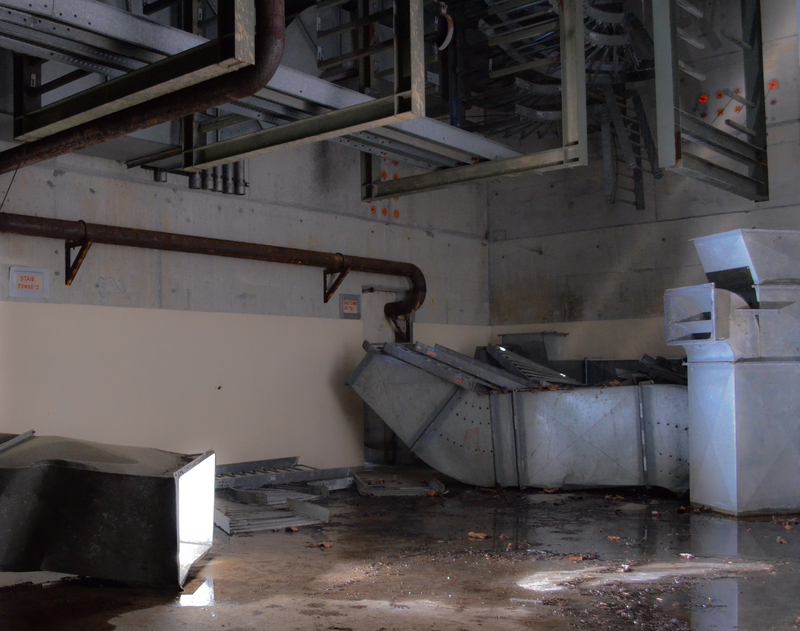 For 30 years, the concrete structure where two reactors were to be located has stood idle about 200 yards from a steel girder skeletal frame of a cooling tower. Today the industrial remains have sat in almost a vacuum. 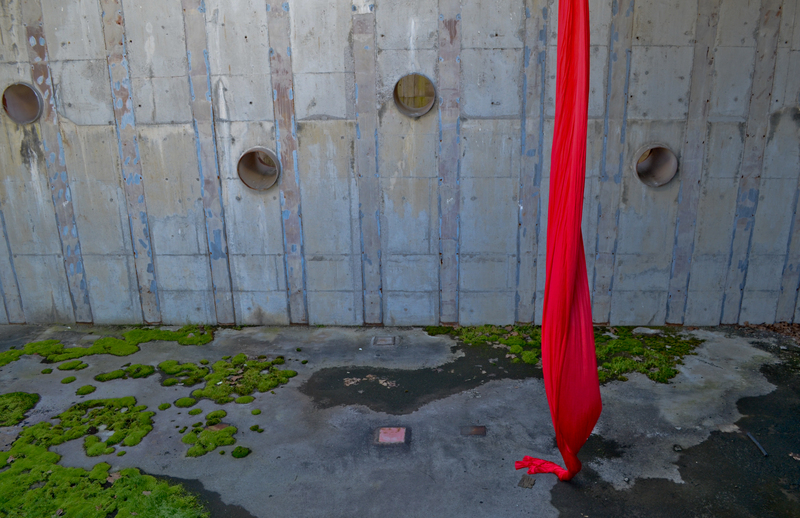 Slow envelopment of the industrial park have given way to an almost stagnant atmosphere. 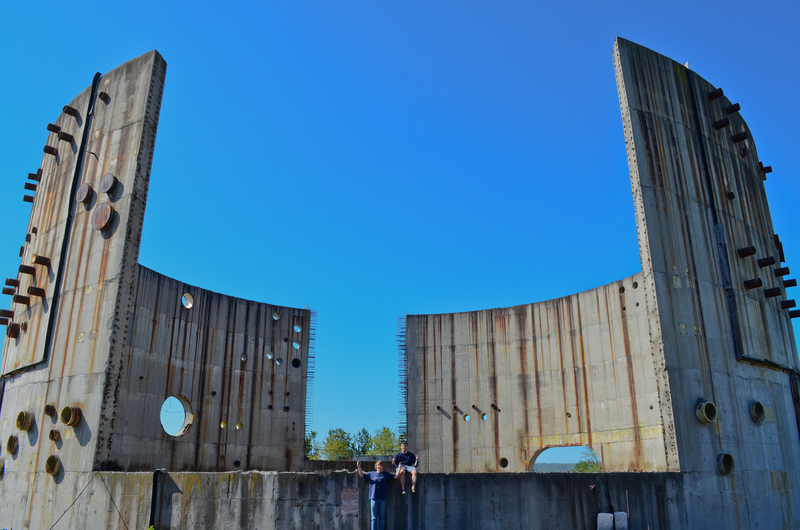 Within the thousands of acres that the TVA bought, only a handful were ever used, of that only a few thousand pounds of concrete and steel remain. 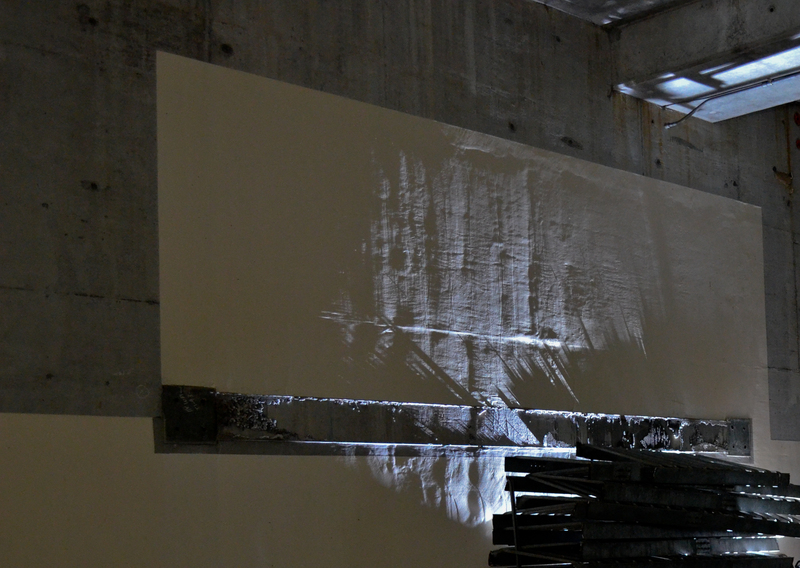 As locals told us, they recall the reason for the demise of this particular power plant stems from the transport of the nuclear reactor core from the construction site to the actual core operation. 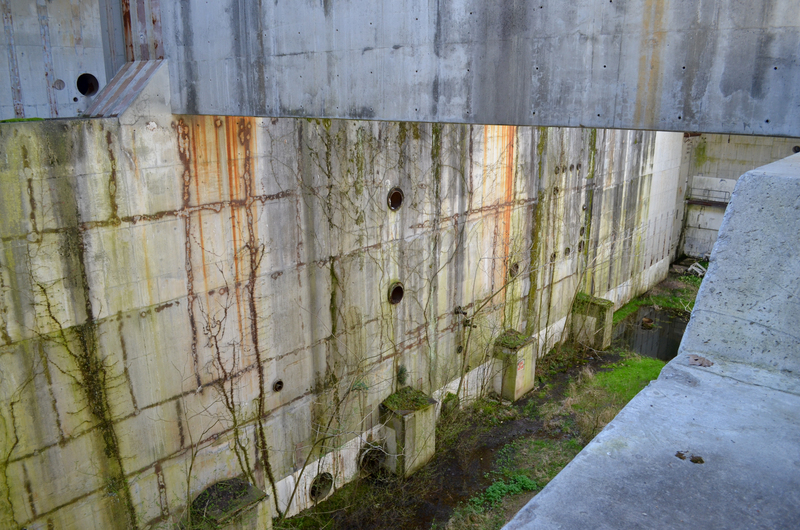 During the truck ride, the logistics of passage overlooked the dimensions of the reactor and the final underpass tunnel. Within the few miles of delivering the crucial reactor; the unthinkable happened. The reaction vessel struck a bridge and was warped beyond the repair and financial budget. 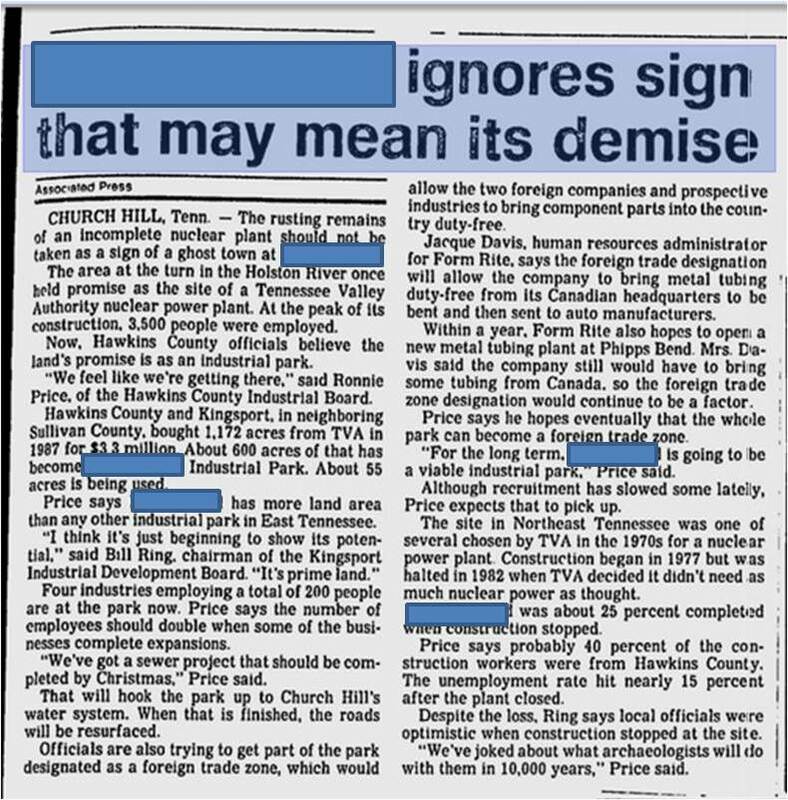 This resulted in the August 6, 1981 TVA Board of Directors making the decision to halt construction of the power plant, causing hundreds of TVA workers to be laid off and sending shock waves throughout the county. The plant was only about 22 percent complete. Construction was also stopped on all other nuclear units across the south. In the end, money won out against a cleaner energy source. The cost of building the remaining 75% of the plant was not enough to get the job done. Today remains the outer shell of what could have been. This entry was posted on August 11, 2013 at 4:53 pm and is filed under "A worldwide secret organization...", Recent Articles. You can follow any responses to this entry through the RSS 2.0 feed. You can leave a response, or trackback from your own site. At only 22% completion, this plant seems awfully expansive. It’s crazy to think that it would have been the world’s largest. I can’t imagine how it must have felt knowing one simple mishap halted such grand (and expensive) plans. Great write up, thanks for sharing.